It’s been a great month since I opened the Bromley studio full-time and have started teaching guitar to a lot of new students, which is encouraging. I have been teaching everything from Grade 1-8 to sweep picking with a new student who is into his old school guitar shred, Beach Boys, Rock School Exams and a couple of complete beginners one of which is learning their first chords and the other is learning there very few notes as they are only 5 years of age. 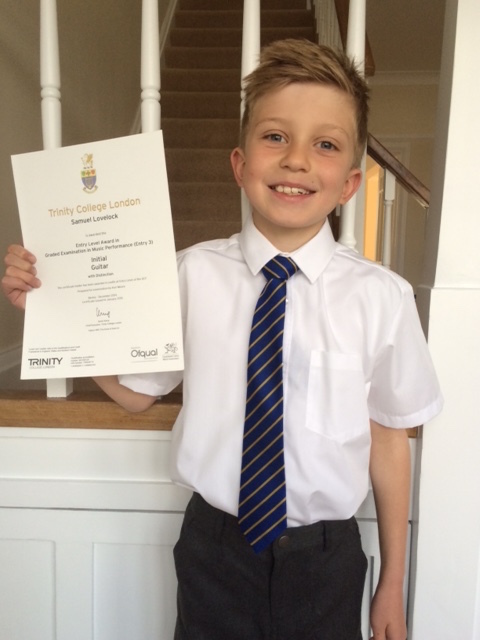 I am still waiting for the hard copy of my students certificates to come through from the Trinity Music Board but i was sent this picture from my student Samuel Lovelock who passed his INITIAL Guitar Grade with Distinction so wanted to say great work Sam. If you or anyone you know is interested in guitar lessons do please tell them to contact me via the Contact page. This month i have been out gigging with Soul Grenades playing all things funky and we had a gig at The Pack & Carriage in Euston. It was our first gig with new singer Sabina and keys player Dave and it went really well and I have managed to find this video from the gig. Make sure you get over to the website Soul Grenades for more info. 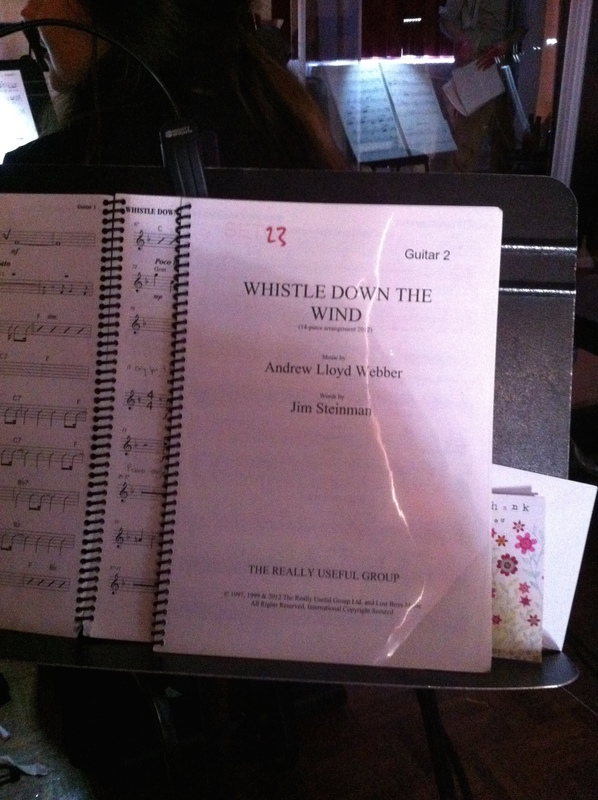 I was also asked (quite last-minute) to play guitar for the BYMT production of Whistle Down The wInd by Andrew Lloyd Webber. I really enjoyed it and there was some great music in there and some fantastic young musicians playing in the band. I don’t do a lot of musicals but loved the challenge and managed to get all the right parts played in time and the right time which is always good. Otherwise this month i have been out gigging with top function band The 29 Fingers and Firefly and have a lot of gigs coming up in the diary starting this week so had better get practicing. I also had time to practice this for a student which is the solo from the great band Mr Big and its the solo from Brother Lover Little Boy! Have a good month and catch you soon.